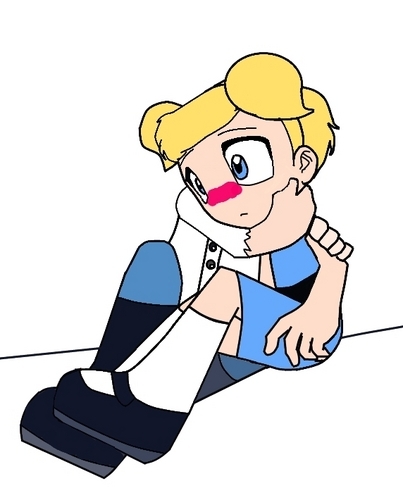 Fletcher and Bubbles hug doujinshi!. . Wallpaper and background images in the Dex3fan club tagged: bleedman ppg. This Dex3fan fan art contains anime, grappig boek, manga, cartoon, and stripboek. needs work but still awe!!!! can't se fletcher though, darn it. I used a base off of deviant art for this one!